Ut. Mubarak Ali Khan is the son of the famed padmashree Ustad Shakoor Khan,the great Sarangi Nawaz. Mubarak is gifted with a deep, sonorous and nimble voice, aided by vivid imaginations. 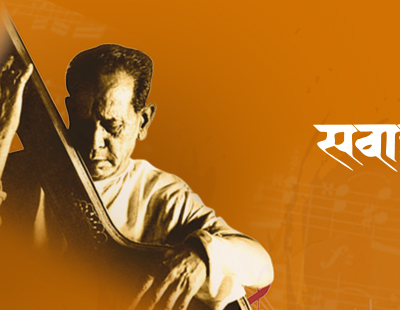 Mubarak Ali has already made a mark in the world of music with his neat and Competent presentations in important music festivals and conferences like-Sangeet Kala Mandir of (Kolkata), Sawai Gandharva (pune) ,Ganga Utsav (Banavas) ,Bharat Bhavan (Bhopal) ,Victoria Memorial (Kolkata) etc. Mubarak received the Suromani Puraskar and is an A-Grade artist of All India Radio. Hailed as "the new king of Indian classical violin" by the media, Ambi Subramaniam, son of illustrious violinist Dr. L. Subramaniam, has already earned some of the most prestigious awards in music including the Ritz Icon of the Year Award, the Rotary Youth Award, two GiMAs (Global Indian Music Award for Best Fusion Album and Best Carnatic Instrumental Album) and Big Indian Music Award (for Best Carnatic Album). At the age of 13, he was invited to present a concert for the then President of India HE APJ Abdul Kalam for the Pravasi Bharitiya Divas. A Doctor of music, Meeta pandit represents the young generation of Indian classical musicians. Born into a family of musicians, she is the sixth generation vocalist. Granddaughter and disciple of Padmabhushan Pandit Krishnarao Shankar Pandit, and daughter of Pandit Laxman Krishnarao Pandit, Meeta is active in promoting Indian classical music worldwide.